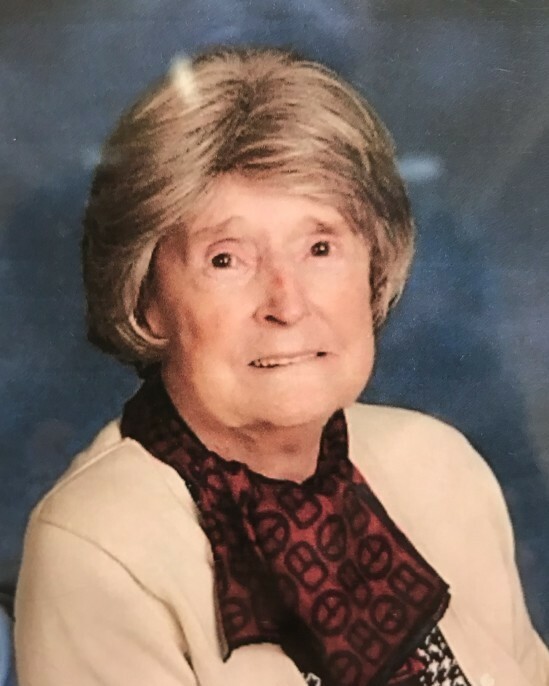 On January 12, 2019, Katherine Custis Thomas Klingenmeier passed away peacefully at the Goodwin House Bailey’s Crossroads, Falls Church, Virginia at the age of 96. Born in Smithfield, Virginia and raised in Newport News, Virginia; she wed LTJG Russell Klingenmeier, CEC, USN on May 7, 1949. From then on she accompanied her husband in the adventures of his Navy career at many of his Navy postings in Virginia; Okinawa, Japan; Florida; Princeton University (graduate school); Bangkok, Thailand and Naples, Italy. Noted among her friends as a talented chef, her dinner parties were always much acclaimed successes. While living in Okinawa as a Navy wife in the early 1950’s, and a staunch Episcopalian, Katherine Klingenmeier was the self-appointed personal assistant to two Episcopal ministers. They had been sent by the bishop in Hawaii with the mission to reconnect with those scattered, surviving, prewar church members to reestablish the church on the island which was slowly recovering from the destruction of the World War II invasion. In this effort she helped in many small ways to devise solutions to simple day to day situations in an environment where confusion was the normal way of life. The Navy Relief office at the Norfolk Naval Base was another recipient of her social skills and talents. There she devoted many productive hours, over several years, counseling young sailors and their families in managing financial resources, so as to get out and stay out of debt. At the time of her husband’s Washington tour of duty, and the years following his active duty retirement, Katherine Klingenmeier joined her husband as volunteer ushers at the Washington National Cathedral. For their steadfast service over fifty years they were recognized at a special awards service at the Cathedral. She is survived by her husband; three nieces and nephews; six grand nieces and nephews; and two great grand nephews. Please check back for updated information regarding the date of service at Arlington National Cemetery.